Judge Dredd hits the big screen this Autumn, that you already knew, but the classic comic character is about to return to American comic readers as well - courtesy of IDW. The publisher has inked an exclusive deal with 2000AD to bring the famous lawman back to the printed page for his 35th anniversary. The new ongoing series will be helmed by Duane Swierczynski and Nelson Daniel; two longtime fans who have never worked on a Dredd series before. ”I’ve loved the work both Duane and Nelson have done for us separately—they’ve both been responsible for some amazingly action-packed and thrilling comics like Godzilla and The Cape,” said IDW’s Chief Creative Officer, Chris Ryall. “So partnering them on Judge Dredd is only going to amp up the excitement here. 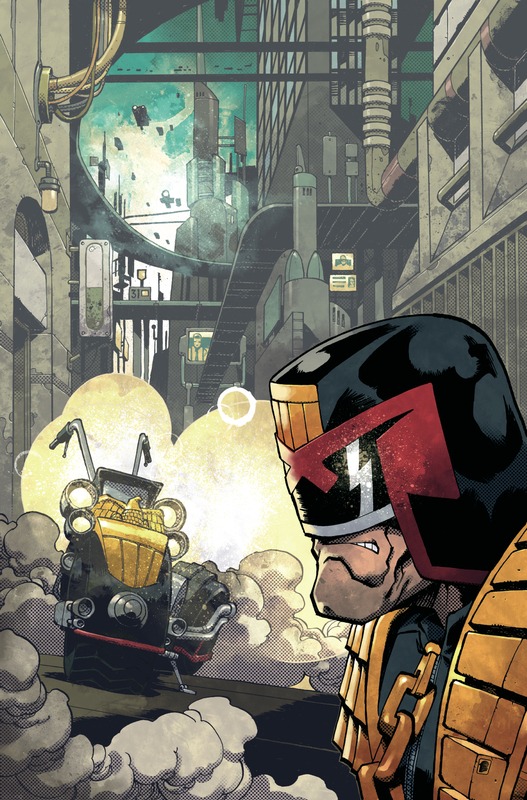 Look for Judge Dredd to hit comic shops once more this November.